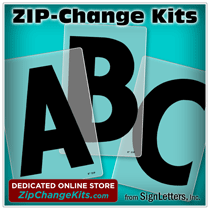 Our Acrylic Faced Foam Sign Letters are produced by cutting your design (either letters or a logo) from a flat sheet of high quality sign foam material and acrylic (plastic) using state-of-the-art cutting equipment. These two material layers are bonded together to produce the finished lettering for your plastic faced foam signage project. This sign foam material thickness will obviously determine the "depth" of the finished acrylic faced foam letters. Review the foam thicknesses available (see below) and choose the one that is appropriate for your sign project.